A long-distance kayaker, overlooked the challenge of the Pend Oreille for so long, the mighty river that begins in my hometown of Sandpoint. As a long-distance kayaker, I don’t know why I overlooked for so long the challenge of the Pend Oreille, the mighty river that begins in my hometown of Sandpoint. I had been travelling thousands of miles to find waterways to navigate — to the Thames in England, the Bío Bío in Chile, the Mississippi, the Hudson — when all I had to do was walk down to War Memorial Field and start paddling. The Pend Oreille is a worthy river, flowing 130 miles west from Sandpoint into Washington, and then north to Canada, where it jogs west again to join the Columbia. In volume, it’s bigger than many well-known waterways, including the Hudson, Sacramento, and Colorado rivers. It carries waters from Montana’s Flathead and Clark Fork rivers, and, of course, it’s the exit of Lake Pend Oreille, the largest lake in Idaho. Jim Payne, long distance kayaker, the journey begins. In early June, 2016, I slid the kayak off the roof of the car, loaded it with gear, and embarked upon the river. At that early morning hour I enjoyed one of the special thrills of the Pend Oreille: the vast mirror vista that opens up in the absence of wind. None of the narrower, busier rivers I’d recently paddled offered this kind of magical, 360-degree panorama. Here, spread out before me, was the entire Baldy range, once in the sky and, secondarily, reflected on the water. As I made my way west, the noisy rush of traffic on the Long Bridge behind me receded, and I had the river to myself. After a full day of paddling, I found a relatively undeveloped stretch of shore near Seneacquoteen to pitch my tent. Watching a water skier carve graceful loops in the water, I ate my supper of oatmeal cookies, nuts and raisins. (I’ve long since dispensed with the fuss and bother of stoves and cooking on my kayak journeys.) Later, I stretched out on my air mattress to sleep, listening to the warbling robins in the trees above who couldn’t believe that on this incredibly long summer day, darkness would ever come to silence them. The next morning I made my way across glassy waters to Priest River, where I had breakfast at the Village Kitchen. Back on the water, my first challenge lay four miles down the river: Albeni Falls Dam, the structure that holds back the waters of the Pend Oreille River. As I neared the looming concrete faces of the dam, the water picked up speed, swirling in little whirlpools. Only a thin rope floating on buoys separated me from the naked spillway 50 feet away. I pitched my tent for the night at the nearby campground and, the next morning, I crammed my foldable Feathercraft kayak into its backpack, hiked around the dam, and put in below the spillway. A mile of swirling, energetic water later I was in Newport, Washington, and landed at the dock of the Old American Kampground, where I stayed for two nights. During that visit I took in the museum, had breakfast at Owen’s (founded in 1938, coffee at 50 cents a cup), and browsed a consignment gallery featuring over 200 vendors. Once back in my kayak I faced intermittent rain, and a 1.4 mph current that slewed the water around in worrisome surges. 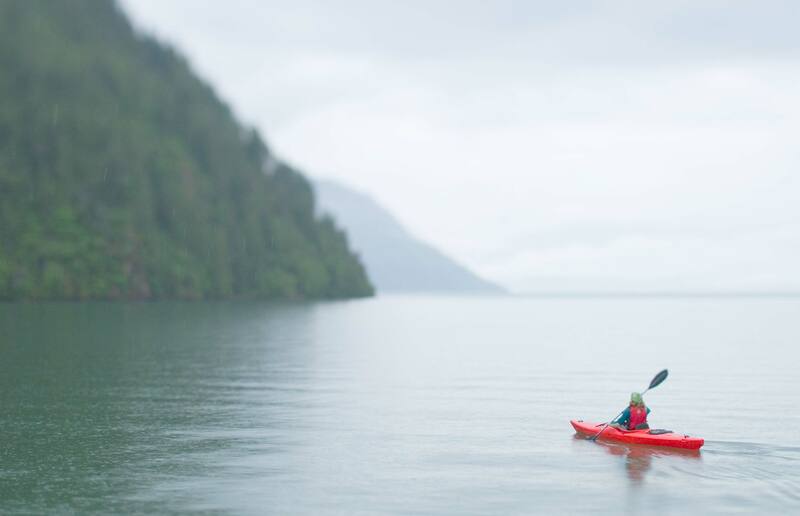 The next two days were miserable, with rain and blustery winds retarding my lonely progress on the water, and bone-chilling, 38-degree nights that robbed me of sleep. When I finally reached the town of Usk, I positively craved the comforts and entertainments of civilization. I took her advice, making my way two miles further down the river to Cusick, which features a concrete boat ramp and toilet facilities. It also boasted a bar called The Tavern, probably the only tavern in America that’s closed Saturday night, but open Sunday morning. They serve beer along with breakfast but, the waitress told me, hardly anyone ever asks for it. In the afternoon I came upon a large canoe paddled by five young people who waved to me as they passed. I met them again later at the Forest Service’s Panhandle Campground. Their craft was no ordinary canoe, but a gigantic cedar dugout three feet wide. The paddlers were Kalispel youths who, with the help of their elders, had worked all winter hewing the boat out of a cedar log. That afternoon’s trip was the canoe’s dedication voyage from the Kalispel headquarters at Cusick. From Left; Cliffs in early morning sun at Seneacquoteen, near Laclede, Albeni Falls Dam, the first portage, Reassembly after a grueling portage at Box Canyon Dam. This canoe’s dedication voyage, built by Kalispel youth with help from their elders. The barrier at Box Canyon, which I soon faced, is a run-of-the-river dam. It doesn’t back up the water, but makes use of the sharp drop at that point to generate electricity. Locals advised me to pull out of the river at the town of Ione, three miles before the dam, and have a vehicle take me to the put-in below the dam. That would have been the sensible approach, but I was stubborn. I wanted to make the portage by myself, so that I could say at the end of the voyage I had done the entire trip under my own steam. But the banks of the river in this section are very steep; in most places outright cliffs. Finally, I did find a way to reach the railroad tracks that I could hike along to the dam. Four hours later — four grueling hours — my portage was nearly complete, with all my equipment deposited at the edge of the railroad trestle that soars 100 feet high above the Box Canyon Dam. All that stood between me and a restful campsite on the other side of the river was 100 yards of train trestle. But, I discovered to my horror, this trestle had no guard rail, and no supports between the ties — just air. It would be a tip-toe balancing act to get across, especially with the kayak pack balanced on my back, and I didn’t dare try it. I couldn’t bear the thought of retracing my steps back along the river to the take-out. So I scrambled up the cliff, and under a chain link fence to the visitor’s observation deck. From there, I had an easy walk on the road to the put-in below the dam. That evening I discovered the perfect campsite: a flat alluvial island whose top, standing 12 feet above the water, was covered in high grass. I drew the kayak into the grass at the shore and left it, assuming it would be secure, because nowhere else on the Pend Oreille had I encountered any significant daily change in water level. However, when I peeked out of the tent the next morning, I was shocked to see the kayak floating 10 feet from shore: the water level had risen 2 feet overnight! Fortunately, I had tied the bow line to a clump of grass, which was enough to keep the kayak from floating away to Canada. Before I set out on this trip, I had toyed with the idea of running Metaline Falls and making it all the way to Boundary Dam at the Canadian border. When I reached the falls early the next day, I clambered up the rocky cliff to get a good look. The drop looked rather tame, more like a slide than a waterfall. I was 99 percent sure I could scoot through without overturning. But I couldn’t put that 1 percent chance of failure out of my mind. After the falls, the river enters a canyon, with cliffs on both sides. If I should turn over, there would be no place to come ashore, and no one to help me nor to notify rescuers. Reluctantly, I voted against running the falls, and decided to make the town of Metaline Falls the end of the trip. On Saturday morning, while waiting for Corky Sanborn to arrive from Sandpoint to take me back home, I wandered down to the highway bridge that crosses the river above the falls and carefully marked the exact spot between the middle rock and the right bank where a kayaker could shoot through safely — just in case a person wanted to try it. 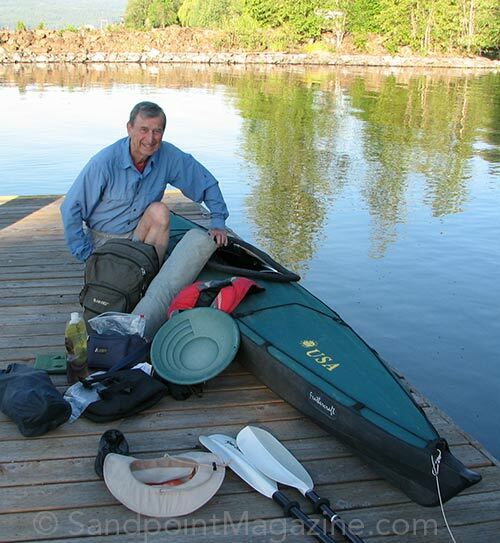 Sandpoint resident Jim Payne, 77, has been making long-distance solo kayak journeys for more than 20 years. 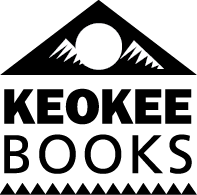 His books include “One Inch above the Water: Running Away on America’s Rivers” and “Chasing Thoreau; An Adventure in Paddling and Philosophy.” His 91-mile expedition from Sandpoint to Metaline Falls, Washington was his 16th voyage. Jim, I loved this article and I am interested in reading more of your many works. You may not remember, but you taught me to drive a stick shift… long ago. I babysat for you & now have 4 grown children of my own. My oldest son is mayor of Giddings, Texas. Nice to come across you again & hear of your journeys, both physical and philosophical. You are a brave soul! Amazing you made the connection from so far off in space and time! Yes, I’ve been doing a lot of long distance kayaking and writing about it: lyttonpublishing.com will tell you more.